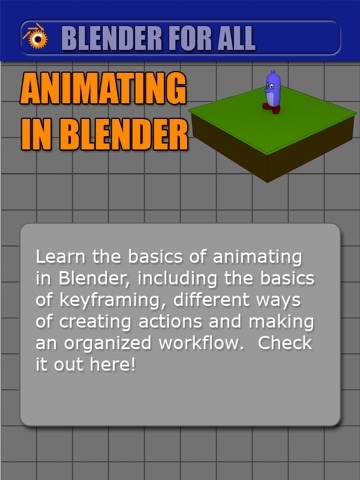 Welcome, Blenderheads, to another episode of 'Blender for All'! This episode is an episode for the beginner in Blender. However, there are topics in this tutorial that some intermediate to advanced users may find helpful. This episode is about some of the very basics of the workflow of animation in Blender. These topics covered in this episode are some of the absolutely basic and essential practices of animating objects in a Blender 3D scene. If you'd like to follow along with the tutorial, click on the link for the source model, and check out the video below!